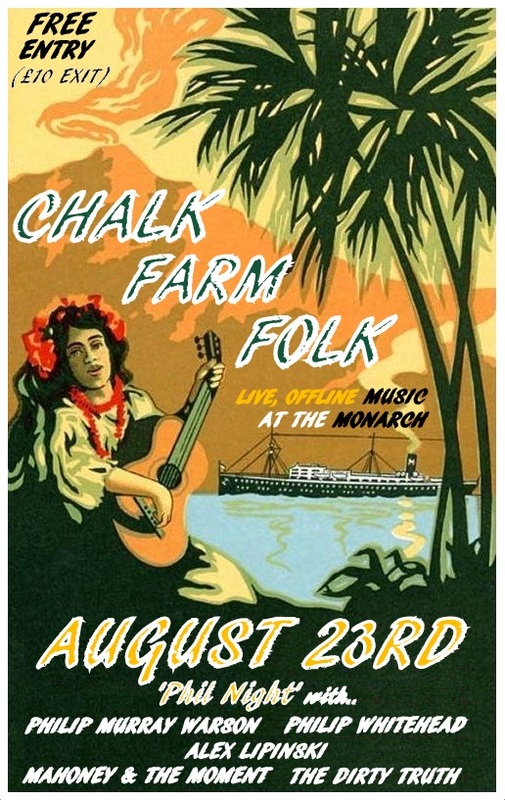 Alex will be playing a solo acoustic set at The Monarch in Camden, London on Wednesday 23rd August as part of ‘Chalk Farm Folk’. FREE ENTRY. Doors: 7.45pm.